Banyuwangi is not only about the beauty of its nature, friendliness of its people, or its exotic culture. You could also enjoy Banyuwangi from the delicious aroma of its special coffee. Boasts as one of the best in the world, Banyuwangi coffee is harvested from plantations divided by ijen Mountain. Visitors can visiting Mt. Ijen, after that visitors could also take a coffee tour by paying a visit to the Arabica and Robusta coffee plantation in Kali Bendo River area, located around 6 kilometers from Kemiren village in Glagah district. The sea breeze and mountain wind also influenced the taste and aroma. 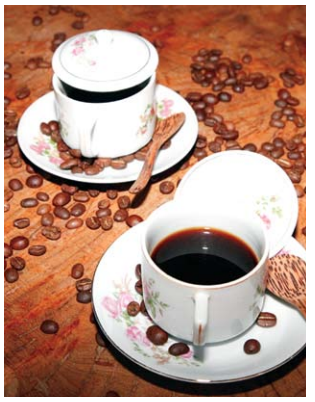 Quality of Banyuwangi coffee is ranked number four after Jamaica, Hawaii, and Toraja. As any of quantity, Indonesia is the third largest coffee producer in the world after Brazil and Vietnam. We could call Banyuwangi as the City of Coffee with its intimate and modest slogan: “once brewing, we are brothers”. There are warmth and togetherness in it. In 2012, coffee and beauty of Banyuwangi were introduced in the event of Miss Coffee international. Held in Bali, the participants were visiting coffee plantations in Belawan, right at the foot of ijen Mountain. They roasted the coffee together in kemiren village, also known as traditional village of using tribe. This is also the spot where Mass Coffee roasting Festival took place, and had broken the record for indonesian Museum of record (Muri – Museum rekor indonesia). 0 Response to "Banyuwangi coffee Agro-Tourism"